It is with great pleasure to welcome you to the registry of the Good Deeds Project! This is officially the beginning of where you can take part in the project yourself by taking part in meeting the needs to start the good deeds! This project is a journey, beginning on the East coast of North America to the West Coast. The idea is to offer good deeds all along the way, while also featuring others doing good deeds, bringing it together into a documentary. The project will inspire others through talks, workshops, and social media to take part and to really explore the idea that good deeds actually make massive differences in people's lives. Because I was moved by too many experiences of suicide, I began really educating myself and getting trained on suicide prevention and awareness development. As it turns out, what I found to be the greatest tools to support suicide prevention are what I thought was common sense- acknowledging others, listening, being present, paying attention to others - offering care, love and support. Apparently these concepts are not so common. In my community we had over half a dozen teen suicides in a two year span and, as you can imagine, it was very tragic for many. I have been working at a children's mental health agency and volunteering with a hospice bereavement group in high schools, a suicide prevention committee and our local distress line. I have various trainings in suicide prevention and awareness through a global program called Living Works. I have also been offering individual and group support for kids, youth and adults through my own private practice. I was noticing that much of what I was offering was really helping people and the ultimate suicide prevention was to learn how to live a life we love to be part of. I started asking myself, 'how can I help even more people?' and this question has led me on a journey. I started with a YouTube channel, Laura Louise, posting a show "Live and Love With Laura" every Wednesday. Then I wrote a book that ranked number one on amazon for suicide and mental health. I started creating workshops and programs through the use of the book and things took off. The question has moved into a complete movement called 'The Good Deeds Project'. The idea is to start on the East Coast and drive to the West Coast doing talks in schools, community centres and yoga studios, etc.. Anywhere with anyone who will listen! We'd be offering good deeds all along the way and featuring others who are doing good deeds. The whole project would be filmed and made into a documentary to inspire others that good deeds go a long way. My vision is to drive a Dolorean with a Tiny House for this project. The theme would be returning from the future, with an understanding that good deeds are the way to world peace and the way to save the world. If you landed here, you are already part of the project and can make a good deed happen right now! Send the project some love, share this page with others, and take a look around to see how you or someone you know might be able to help! I thought about the hippy van, an RV or pulling a trailer. Then someone introduced me to Tiny Houses. 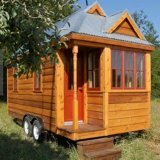 I can only imagine crossing the country in one of these custom made Tiny Houses - dedicated and donated to the Good Deed Project. This will promote the movement of living simply, happy and on the go; as well as moving off the grid and really being environmentally friendly. Jay Shafer is the founder and builder of Four Lights Tiny House Company. I am hoping he might be able to help with getting a Tiny House donated to this project. If you know him, please spread the word! This gentleman did a documentary called "Tiny" featuring tiny houses. 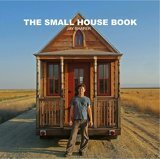 I would love to be in contact with him for support with the Tiny House donation, as well as support on creating a documentary. If you or someone you know happens to know him, please spread the word! Daniel is the owner of DIY Tiny Homes. He has also done workshops on TIny Homes with Jay Shafer. There is a possibility that he could help with the Tiny Home donation. If you or someone you know happen to know him, please spread the word! An alternative that has been coming up is the idea of having people build the house. I have no interest in building on my own, but I can totally get juiced if a group of people decided to take this on as a project. Tumbleweed Tiny Homes Company and other companies have blueprints for this possibility. This idea would open the door for other needs: builders, blueprints & building materials. It only makes sense in my imagination that a Tiny House be pulled by the car from Back to the Future! The theme of "knowing" what is to come and how to save the world with one good deed at a time, well, it really all comes together. The way of the future- live off the grid, live simply, happy, and go and be wherever and whoever you are a called to. The image of a Tiny House with a DeLorean speaks volumes that I don't even have to say a word. The image on the road will catch attention and the image in all the places that will be visited will forever remember the way into the future is to offer small acts of kindness and good deeds in any way you can. Although I have some small cameras to film; I'm thinking to really make this a professional project I am going to need a professional camera. I would love to receive some advice on what camera would be best suited for this job- as well as borrow a camera, receive a donated camera, or have someone who wants to film join the project and be the camera! Road trip anyone? This project needs a website! And a miraculous, magical and magnificent website! The purpose of this website would be to build awareness of the project itself, to collect donations, to build a community and to share updates of the project. I need a website magician that I can work with on making the vision of the website come to life and be part of the project ongoing to offer this support. Although I don't eat much, I am going to have to eat. Places to stop along the way for a meal, gift certificates for groceries and food places, and an opportunity to connect with people over some eats, would be fantastic! Please feel free to donate some eats in any way you think possible! This tiny-house, DeLorean driving, peace advocate, school speaker, documentary maker, love giver is a vegetarian! We have to feed the deed! So both myself and the car will need some fuel! Fill up the tank with a donation or gas cards so we can get the message rolling across the continent! These gestures are all good deeds to document. A major part of this project is about featuring what YOU do! If you or someone you know has a cool project or is making a massive difference with the good that you are offering the world then you belong in the Good Deeds Project! Make sure you contact us and let us know to stop at your place and check it out to feature it in the documentary! If you have a community, school, event or wellness centre that would like to host a talk or workshop, please contact me. Promoting good deeds and how you can make a massive difference in small ways every day is really what the message of this project is all about. I would be honored to share that with you and the people in your world, only to inspire you and others that there really is good going on in this world and we can all be part of it. You can help RIGHT now just by closing your eyes and sending love to this project! (Thank you!!!!) You can also share this information with people you know, through your email lists, your Facebook friends and pages, on your websites, and through any form of connection you put out into the world! Newspapers, TV/radio shows, magazines.... spread the love! The more people that know about it, the more energy to drive the good deeds- well literally, but also energetically! This is not just a road trip, this is a movement of inspiration that supports people in knowing that there really is good in the world and we can all be a part of it if we choose to. I hope you choose to take part in the Good Deed Project in whatever way resonates with you! Will be selling Seeds to Plant the Deeds! If you are interested in selling seeds to help support the project, let me know! 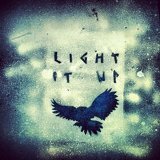 The purpose of this project is to turn you on and light you up! Various products are going to be sold for the pay it forward portion of this project! Do you know where I can get hats, t-shirts, keychains, etc. products like these made to sell in order to raise funds to offer good deeds to others and pay for fuel???? Please share! You can become part of the Switch Team!